Divorce forces the sale of this wonderful and simple burger concept in the west valley. This burger business is run like a machine and the numbers show it. During the on-season the monthly sales were around $42,000 and the off-season the monthly sales are still strong at about $37,000. Sales remain strong with the most recently sales showing growth and when the snow-birds get back, sales should get stronger. This simple burger concept serves the all-American meal with burger, hot dogs, fries, shakes and ice cream at a competitive price with great quality. Food costs are running about 35% while labor costs are running about 12% for this order and sit-down concept. This is a fairly new concept. The store opened earlier this year with great success. The owner works hard and a new owner should expect to do the same. This is perfect for a family! The store is kept in immaculate condition and very clean. I have eaten at this store and the food quality is great; hence why it is doing so well. In five months this year, the operating profit was about $67,000, which annualized is more than $160,000 a year. The sales were about $197,000, which annualized is $472,000! WOW! What a great success Story for a first five months. 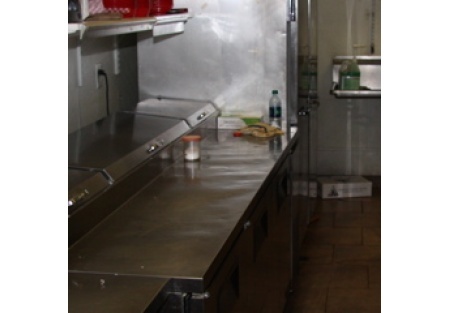 This is priced to sell and the owner believes in the business and is willing to carry $50,000 for the right buyer. If you run this business as well as the current owner, you'll have your money back in less than a year. Where else can you get a business priced like this. Numbers shown on this listing are annualized five months actual results. The business doesn't have a full year's numbers yet at is has been open since April 2013. This location is great and going to get stronger as the developments in the area expand. It is an end-cap unit with 1,800 Sq. Ft. and a small outside patio. There is seating for 52 inside and 4 outside. There are two monument signs on both major streets that's included in the lease. Mon. - Sat. 10am - 9pm. Easy To Operate Burger Business. Facility is in Great Shape. Growing Area = Growing Sales. New Developments Going In Nearby.